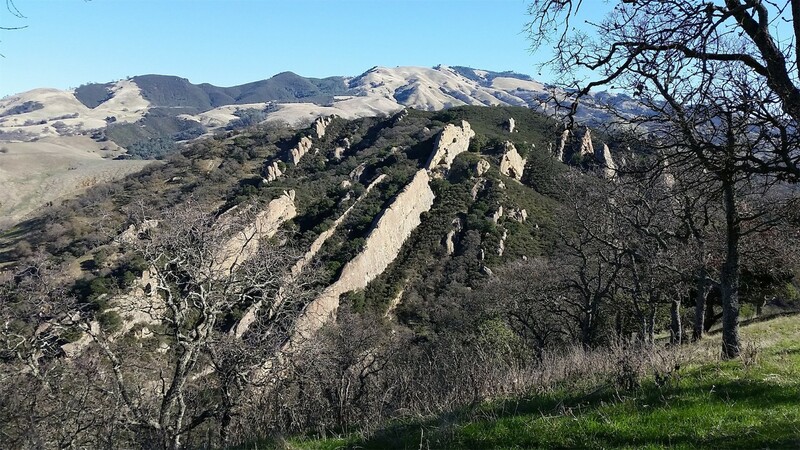 The Diablo Foothills event is being moved from Saturday, March 3, to Sunday, March 4. Despite our best efforts (mainly crossing fingers and hitting refresh on weather websites), the forecast for Saturday is continuing to worsen. With the prospect of thunderstorms, we thought it best not to send runners out along the ridgetops with lightning nearby. Instead, we'll take our chances with the lingering mud on Sunday. Hopefully most of you will still be able to attend. In addition to changes on the BAOC website, a message has been posted to the BayONet (https://groups.yahoo.com/neo/groups/baoc/info), and the Facebook event page (https://www.facebook.com/go.baoc/) has been updated, but please help spread the word. The event is open to the public (i.e., to non-members). We encourage everyone to join us. Find out more about orienteering elsewhere on our website. The assembly area will be at the Castle Tree Picnic Area (https://goo.gl/maps/DicBE6UVDpz), about an 800-meter walk from the parking lot. Note: This is not the same place we used last year, and there is no parking at the assembly area. There are toilets at the parking lot, and toilets and water at the Registration/Start area at Castle Tree Picnic Area. 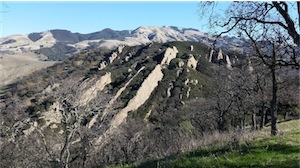 A map of Diablo Foothills Park is available here (PDF/1.6MB) (https://www.ebparks.org/civicax/filebank/blobdload.aspx?BlobID=24279). Everyone must return to the Finish by 2:00 PM, and check in at E-punch, even if you don't complete your course. We need to account for all participants, because otherwise we must organize a search party for you. At 2:00 PM we will also start taking down controls, so there is no point in staying out longer. For beginner courses, comfortable outdoors attire and shoes are fine. For intermediate and advanced courses, leg cover or gaiters are recommended, as well as shoes with some extra grip on the sole. A compass is not necessary, but can be very helpful. We have compasses available for a $1 rental fee. More information is provided in the Course Setter's Notes. Be sure to read them. , to reserve your spot before they're all taken! The approximate coordinates of the parking lot are 37.896,-121.997. Take the Ygnacio Valley Road exit (which is just north of the Hwy 24 interchange). Turn right onto Ygnacio Valley Road and go 2.3 miles to Walnut Avenue (past Walnut Blvd). See below for the continuation from there. Take the N Main Street exit, and head south on Main St. Turn left onto Ygnacio Valley Road and go to Walnut Avenue (past Walnut Blvd). See below for the continuation from there. Turn right onto Walnut Avenue (not Walnut Blvd), and continue 1.5 miles to a roundabout​—​take the first right onto Castle Rock Road. In 1.4 miles you will reach the Orchard Staging Area/Castle Rock Parking lot.